Regulatory Freedom and Indirect Expropriation in Investment Arbitration presents a conceptual framework for the scope, relationship and method for delineating between regulatory freedom and indirect expropriation and ways for resolving these issues in practice. Many investment arbitration cases involve a challenge to a regulatory measure of a host state on the basis of indirect expropriation. The practice of arbitral tribunals is diverse and unsettled. In recent years, states have been trying to clarify the relationship between regulatory freedom and indirect expropriation by revisiting provisions relating to indirect expropriation in their investment treaties. 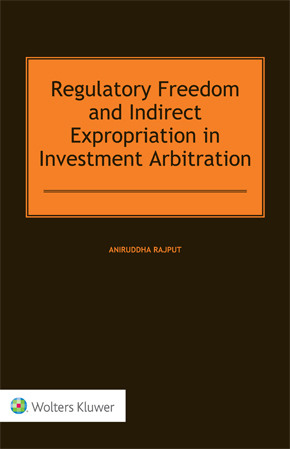 This book provides the first focused analysis of indirect expropriation and regulatory freedom, drawing on a broad range of the jurisprudence of investment tribunals, as well as of other international courts and tribunals such as the International Court of Justice (ICJ), Permanent Court of International Justice (PCIJ), dispute resolution bodies of the World Trade Organization (WTO) and European Court of Human Rights. To what extent do states retain regulatory freedom after entering into investment treaties? What is the scope of regulatory freedom in general public international law? What are the elements of regulatory freedom and standard of review? How to draw a dividing line between regulatory freedom and indirect expropriation? Whether the sole effects doctrine or the police powers is the appropriate way of distinguishing between regulatory freedom and indirect expropriation? Given the dense network of more than three thousand bilateral investment treaties (BITs) that impose an obligation to protect foreign investments in a State, this book will help practitioners identify, through analysis of cases from diverse fields, how a situation may be categorized either as regulatory freedom or as indirect expropriation. The analysis will also be of value to government officials and lawyers involved in negotiating and re-negotiating investment treaties, as well as to arbitrators who have to decide these issues. Scholars will welcome the book’s keen insight into the contentious relationship between a customary international law norm and a treaty norm.